Another regional brewery is joining the ranks of those who are canning craft beer. 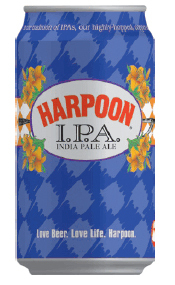 Harpoon Brewery is canning two of their beers, the I.P.A. and the Summer Beer. The Harpoon Brewery is pleased to announce that your backpack will be a little easier to carry on hiking trips this summer; introducing Harpoon IPA and Harpoon Summer Beer in cans. Just in time for Memorial Day weekend, the Harpoon Brewery will offer its flagship India Pale Ale and seasonal Summer Beer in 12-ounce aluminum cans. The beer, which was brewed at Harpoon’s Windsor, VT brewery, is being canned at FX Matt in Utica, NY today. 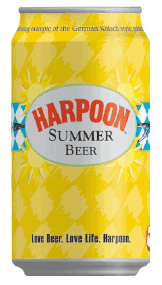 The new cans will enable New England craft beer lovers to enjoy Harpoon beers during summer activities and at locales where glass bottles are not convenient. It’s interesting to see more larger craft breweries turn to cans these days. I’m guessing we’ll see more and more of this size brewery adding cans to their line-up.